Our stay here was great! We rented a car and we both were a bit nervous about the parking. However, there is a lot located in the just past the hotel and it was a secure lot. It was perfect! The location was great as well since we did not want to be in city center. We were just about a couple miles out which was a short 7 min drive in. I would definitely stay here again! We never made it to breakfast as was over too early. I feel that the breakfast should have been included with the stay. The room is comfortable, check in was good and smooth. The property is located well north of City Center. The surrounding area was quiet and peaceful, but you could get to city center quickly by bus or taxi. We went to city center every day to get dinner or to catch a bus or train to other places! The staff was pleasant and made sure we knew everything we needed to know to enjoy our time in Ireland. We had our best vacation yet! The beds were very comfy and the location was quite convenient. This was our third stay but the first time we tried the breakfast. It was very good. We asked to be moved, which they did with no problem. The new room was the same, but bigger, and the wi-fi world perfectly. 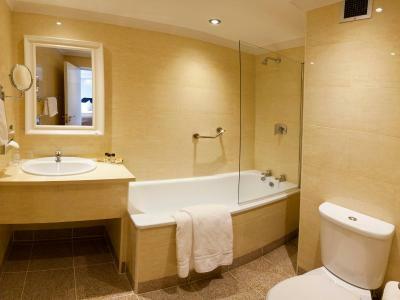 Very good cleaning standard and well maintained installations, including room, leisure center etc. Staff was very accommodating allowing us to check in early and upgraded us to a bigger room!!! There is a supermarket next door that has everything you may want to eat or need. Bonnington Hotel & Leisure Centre This rating is a reflection of how the property compares to the industry standard when it comes to price, facilities and services available. It's based on a self-evaluation by the property. Use this rating to help choose your stay! 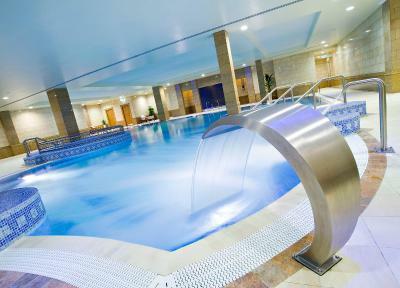 One of our top picks in Dublin.With an indoor swimming pool and hot tub bath, Bonnington Dublin is less than 10 minutes’ drive from Dublin Airport. 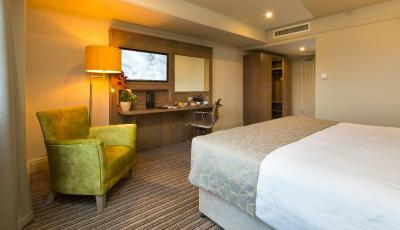 Its rooms include plasma-screen TVs. Free WiFi is available in all rooms. 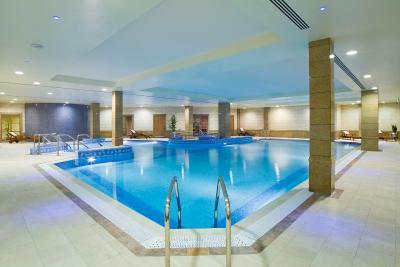 Free to all guests, the Bonnington Dublin Spa offers a well-equipped gym, sauna and a steam room. A range of beauty and pamper treatments is available for an extra charge, including hot stone massage, Indian head massage and facials. 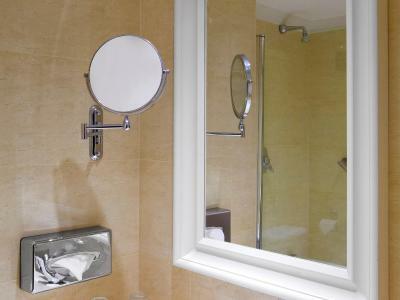 Bright and traditionally furnished, each air-conditioned bedroom includes a private bathroom with a salon-style hairdryer. Rooms have tea/coffee facilities and some offer lovely city views. Each contemporary room was refurbished in spring 2014. Bonnington Dublin is just a 10-minute drive from Dublin city center and a 15-minute walk from Croke Park Stadium. The O2 arena is only 15 minutes away by car. 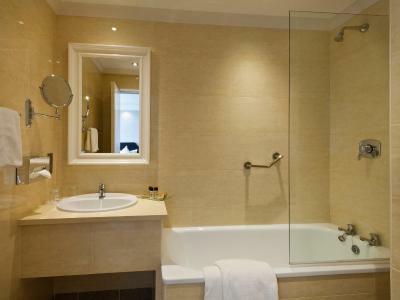 When would you like to stay at Bonnington Hotel & Leisure Centre? 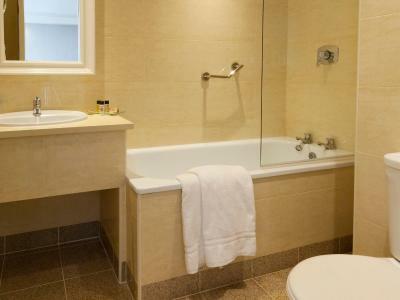 Double Room with private bathroom, TV, direct dial telephone, and tea and coffee facilities. Free Wi-Fi and use of the health club are included. Private parking is available on site (reservation is not possible) and costs EUR 9 per day. This room either has 3 single beds or one double and one single bed. 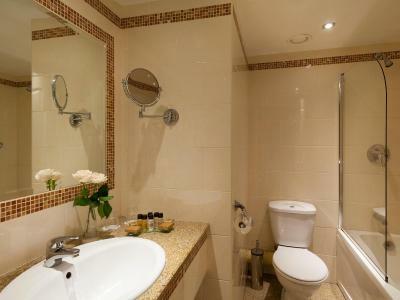 It also has a private bathroom, TV, free Wi-Fi and tea and coffee making facilities. 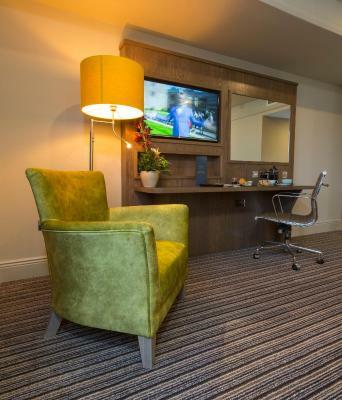 Refurbished in spring 2014, this room features 1 double or 2 single beds, a private bathroom, orthopedic bed, 32-inch flat-screen TV and tea and coffee making facilities. There is also a hairdryer and free WiFi. 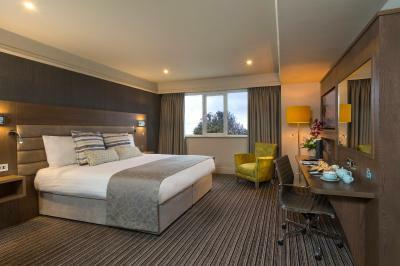 This spacious King Room has a private bathroom, individual climate control, 20-inch flat-screen TV, hairdryer and free Wi-Fi. There are also tea and coffee-making facilities. House Rules Bonnington Hotel & Leisure Centre takes special requests – add in the next step! Bonnington Hotel &amp; Leisure Centre accepts these cards and reserves the right to temporarily hold an amount prior to arrival. Bonnington Hotel & Leisure Centre accepts these cards and reserves the right to temporarily hold an amount prior to arrival. A valid credit card must be presented at time of check-in, or a cash deposit must be paid. Please note, the total amount of stay and an additional deposit will be required at check-in for all cash payments. 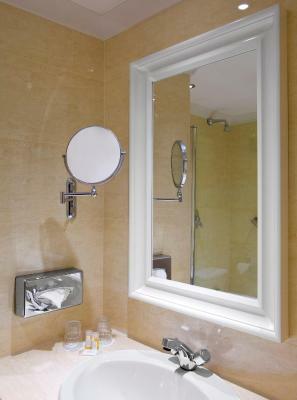 Please note that renovations are taking place in public areas of the hotel. You may experience minor disturbances. The room sure was great. Hot breakfast served on COLD plates. Please get your plate warmers fixed if they’re broken or switch them on. Don’t ever serve hot food on a cold plate. Very comfortable beds & pillows. Leisure facilities excellent. Having to buy extra things for instance a swimming hat. Bathroom didn't have any towels... Not sure if we had to buy them but we didn't question as we were late arriving and leaving early in morning. The bed was very comfortable. The pool facilities were good and what we wanted. Good location from both Dublin and airport. One of hotel restaurants was closed for refurbishment which i was not aware of at time of booking. Opened day we left. Leisure facilities very average, Had to wear a hat for pool which you had to purchase floors dirty, only used once which was disappointing as this was the reason for me booking this hotel. Hotel room noisy from outside generator and we were right above the foods in entrance for something. They were renovating parts of the hotel. No proper restaurant. The rooms were very comfortable. Nice and clean. Pretty good price for Dublin, which can be quite expensive. Location next to a bus stop, which is fortunate as the city center is like 45 minutes away on foot. Convenience store next door. Room was really hot at night. Window could only be opened a bit and no aircon. Sheets were also way to thick. Complained in the morning at the reception and they didn‘t care at all. For sure I‘ll never come back. Very good location close to the airport. Bus stop 2 min walk away. Very worn and scruffy furniture. Staff had no friendliness. The outside renovations lead to tertible rattling noise all night. The bar couldnt serve coffee after 10pm . 14 euro for a breakfast is far too expensive and carpark had to be paid for also.